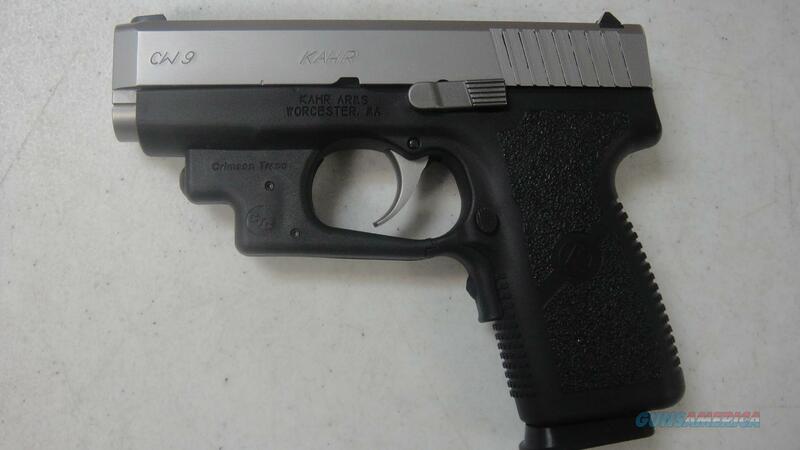 Description: This new Kahr Arms CW9 fires the 9mm round. It has a 3 1/2" barrel with a stainless slide and matte black frame. This semi-auto pistol comes with a Crimson Trace red dot laser. When you grip the gun, you activate the red dot laser. This cool pistol comes with manual, hard case, lock, and one 7 round magazine.